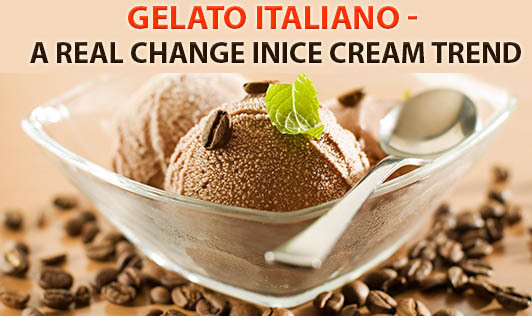 Gelato Italiano - A Real Change in Ice Cream Trend? The Gelato Italiano chain of ice creams claims to give you a chance to break free and experience great tasting Gelatos at an affordable price! This ice cream boasts of its innovative flavors like Swiss Chocolate, Ferrero Rocher, Madagascar Fine Chocolate, Yogurt Wild Berry and New York Cheesecake that undoubtedly gets your taste buds craving for them. The flavors of Gelato are new to all of us, especially in India, who have seen the usual flavours for a long time. We haven't seen so many varieties under one roof. The Swiss chocolate flavor is made of chocolates from Switzerland. This is available all over the world in affordable prices now. Madagascar fine chocolate is the complete blend of chocolate with no mix of any other flavor. Yogurt wild berry is made of some amount of yogurt, vanilla and berries that are blended into it. New York Cheesecake is the blend of cheese, cake mix and vanilla or chocolate depending on the preferences. There are also low calorie and low fat ice creams that come at a different price. What is Gelato and how is different from an ice cream? Gelato has similar ingredients like regular ice cream i.e. milk, sugar and egg yolks. The difference lies in the fact that gelatos are made from milk, while ice creams are made of cream. Hence, the calories and unhealthy fats in gelato are slightly lesser than conventional ice creams. These ice creams are made and stored well and so has a better shelf life too. A chocolate variety of the gelato is also available with a tempting tag "fat-free" on it. While on the health front these ice creams do score well over the regular ice cream brands in the country, are they worth the price? Gelato claims to be available at affordable prices. There are three price ranges displayed at the counter to attract customers. Some basic flavours like peach, vanilla and chocolate are priced at 30 INR for a small scoop. This is available at most ice cream corners across the country. Other flavours are priced differently at different prices like 50 and 70 INR a single scoop. Some flavours are exorbitantly priced at 215 INR for a double scoop, when most Indian brands can give you a family pack at that price! Many of us fall for fancy names that tempt us to buy a product even though the similar one may be available at a cheaper price. The fat-free (Diet Lite) ice cream flavor doesn't taste much like an ice cream. It is more like a sorbet and may fail to impress those ice cream "lovers". Ice creams are an all time favorite for most of us. Unfortunately, the high calorie ones taste the best. Gelato Ice creams can be a good choice for the "health conscious". However, whether it is an Indian brand or an Italian one, both of them are high in calories and fat. A treat once a while is perfectly alright! Do not fall for deceptive marketing skills and fancy names. Such companies can just charge you more for the same taste and same flavor. Think before you pay and choose smart!